Woveon helps retail banks and financial services manage and reply to all their customers from multiple channels. Messages in emails, chats, SMS, phone and social customer messages can be easily traced, identified for any customer. Result: Save time by monitoring the millions of customer conversations and resolving issues fast. Powered by our unique Woveon Engine and AI technology, we can trace and isolate problems for specific customers, and also forecast issues before they happen. We can process through millions of customers conversations from multiple channels to identify, prevent, resolve and monitor customer and organisational risks. 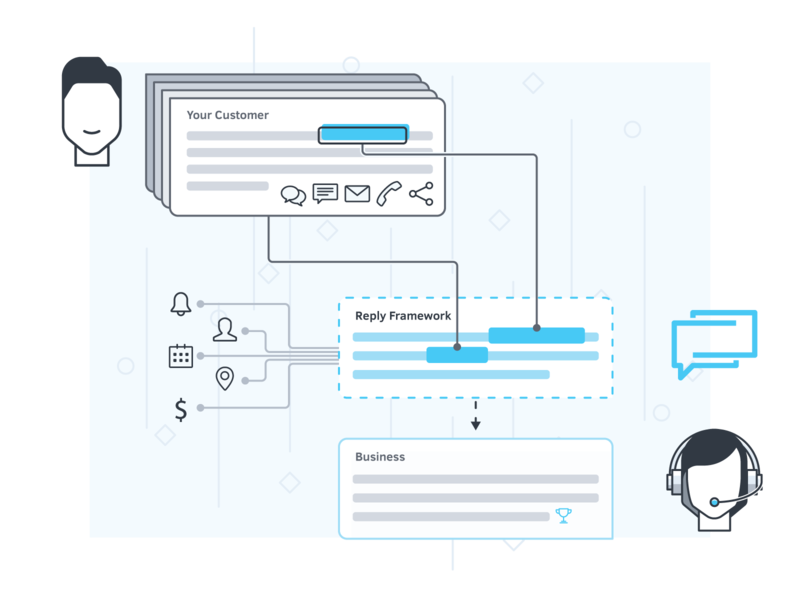 Teams no longer have to spend hours to investigate, go through past conversations across different communication channels to identify and report on specific customer issues. You know how every time you have to dig through hundreds of emails and conversations to find out what happened and then figure out how to report for compliance appropriately, well Woveon helps monitor and trace through the mountains of customer histories and interactions with your business, in fact, your retail banking customers will love that fact you know them better now! Capture and monitor personalized communications at scale. Pull relevant data matches and related topics with the clients – all customer facing systems and internal backend systems can be connected. Our unique Woveon API future proofs your organisation with future communication channels for reporting, such as new social media platforms and new messaging protocols. We can integrate with your existing communication VOIP systems, backend phone or SMS channels and in-house systems and solutions to create a powerful customer conversation compliance backend. 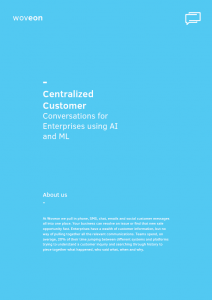 For Enterprise users who are overwhelmed with customer conversations, Woveon conversational technology pulls together all the emails, chats, sms, phone and social messages into one place using AI and machine learning. Our single customer view interface revolutionises the way teams can generate segmented customer data for building brand loyalty, increase sales conversions and reduce the time to response. 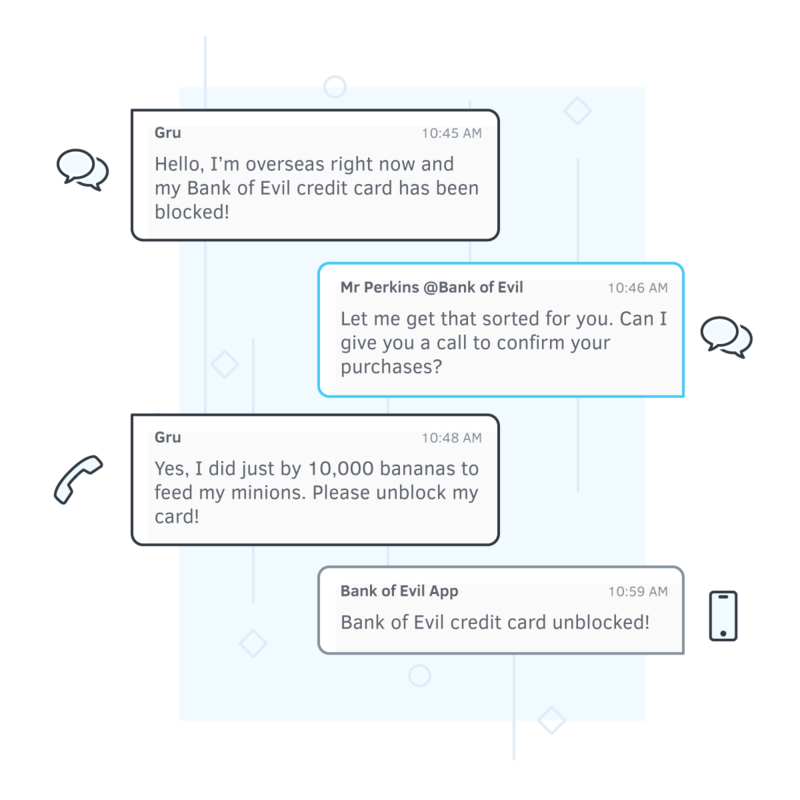 Using AI and Machine Learning, Woveon learns as your team takes on more customers. Learn how Woveon can manage the millions of retail banking and financial services conversations using our unique Woveon data warehousing technology – for faster customer response management, intelligent conversations and customer compliance.